Full disclosure: I was not compensated for this review. All opinions are my own. Genius Project is, however, a company that has been a regular supporter of this blog, for which I am very grateful. This is a review of Genius Project 8.0.1 cloud-based option using Firefox browser, in June 2018. Languages: Looks like the non-evaluation version has the option to switch into different languages, but I couldn’t make it switch in the evaluation version. Defaults to your browser configuration, but customisable including data separator, thousand separator and decimal separator. This is the attention to detail that is lacking in so many other software packages but is perhaps to be expected when the development team is based in Canada! 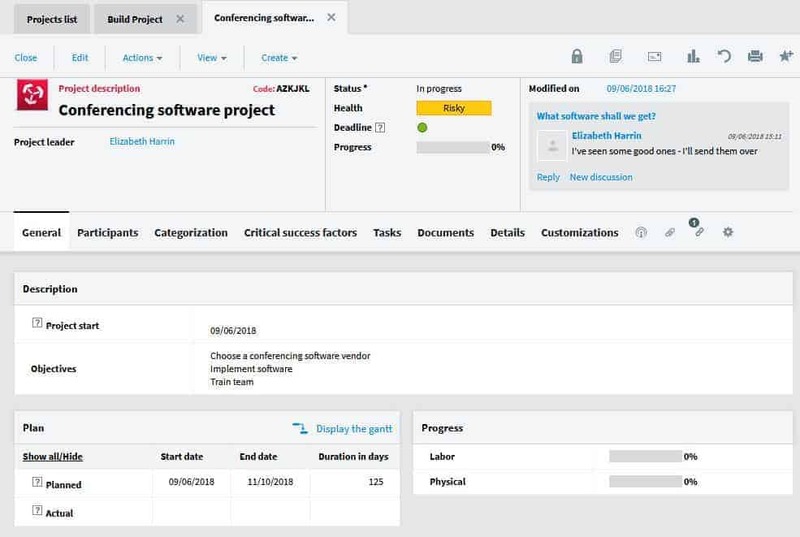 Genius Project is an enterprise project management software tool. It’s aimed at businesses with a maturity approach to managing projects and workflows. It’s got more features than most of the software I normally review, so I’d say if you were starting out in project management, then this is perhaps not the right tool to start with. However, there is some sense in starting how you mean to go on and choosing a tool that will grow with you. If you’re a new PMO, it is worth looking at because it is highly flexible and configurable. You don’t have to use all the functionality. But if you are a first-time project manager looking for a simple way to manage your task lists and create a Gantt chart to impress your boss, then I’d suggest there other products that might fit your needs more appropriately. OK, with that out the way, let’s dive in and check out what Genius Project can do. Click Projects from the left-hand menu and then New Project. You see a pane of information that you can complete about your new project. You don’t have to complete it all, but the data cascades through to reports and other screens so it does help to be detailed. There are some neat features built into Genius like being able to lock the planned and actual start and finish dates so you don’t accidentally move them. You can even import a Microsoft Project plan (as an .xml file) so you can incorporate sub-plans from vendors, for example. I also like that you can set your own phases. This is really helpful for large projects or when your project runs over a long duration. Tasks can then drop into the phases to help you see the bigger picture and stay more organised. When you want to view your plan, the Gantt chart opens in another browser window. The Gantt chart looks clean and is easy to navigate. Wow, there are a lot of options to fill in when adding a resource – there’s even space to add the contact details of my assistant (if only!!). Fortunately most of them aren’t mandatory. 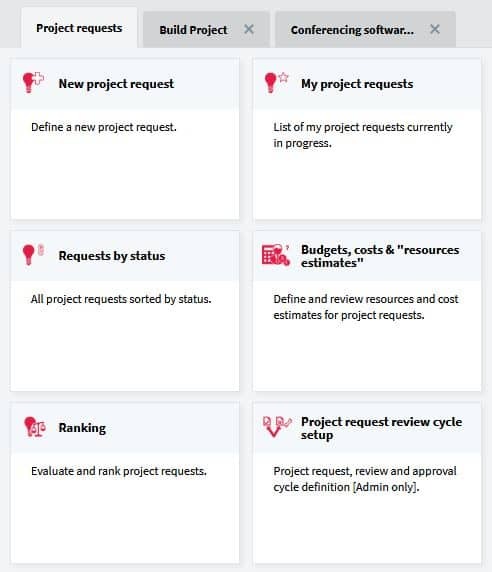 You can add resource assignments at the task level itself, and see summaries of resource allocations in the Projects drop down menu on the left. 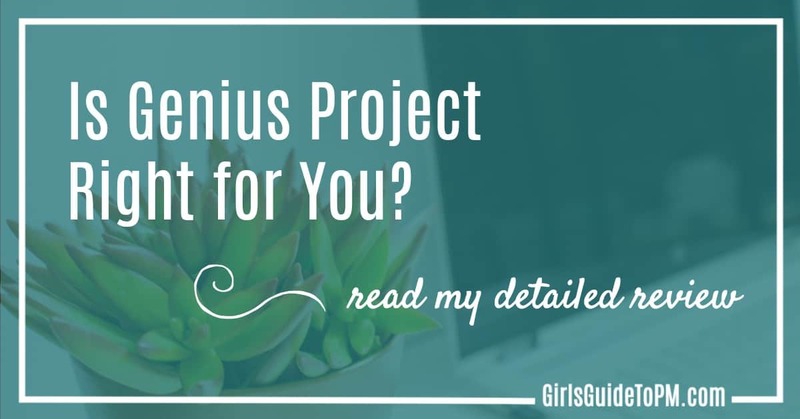 Genius Project does so much more than simply allow you to set up project plans and track them. Where I think this adds a lot of value is in the project request process. You go from a new project request through to having the project approved, and the whole history of that journey is stored in the tool. Genius also has a project request dashboard so you can see where projects are in the process. There are a number of ways you can use workflows to better support your existing processes, and the best thing about this is that you aren’t confined to what Genius Project says is the best way to do a process. You can customise it to fit your own ways of working (however quirky). Setting up workflows to align to your business processes is going to be worth it, but be prepared to put the effort into creating them in the first place. For this review I didn’t collaborate with anyone else on my made up projects, but all the collaboration features that you would expect are there. Start a discussion – although from the Project pane it looks like you can only see the very last comment. You can also share project information with people via sending them a link to the relevant section of your project. This is a good feature and they won’t have to have a paid-for licence for this. However, generally I would say that this tool is too complicated to use for the majority of senior stakeholders if they aren’t using it regularly. You should consider sending critical information to them in another format too if you think they are more likely to read it that way. It is quite rare that I find project management software to review that has decent functionality for risks and issue management. Genius Project has a good approach to recording these. It prompts you to detail the nature of the risk, the category and the source, all derived from a list which you can customise. The out of the box categories are quite comprehensive so you’ll probably not need to do much config here. 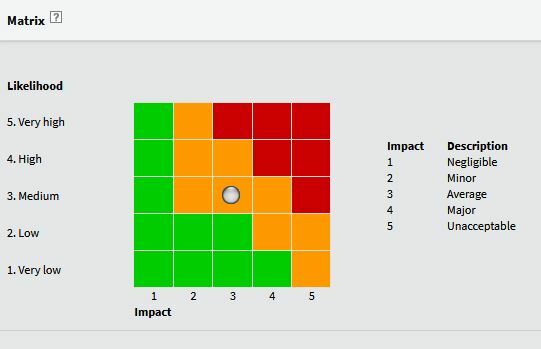 Genius uses a standard risk matrix for calculating the severity of the risk. Issue tracking is similar but with built-in workflow! You submit an issue report and then assign it for analysis. What a great way to keep track of who is doing what to resolve project issues. This is a far more robust way of managing issues than what I generally do, which is put them on a spreadsheet and then chase up the most urgent ones when I remember. Change requests work in the same way. You can raise a change request and then submit it. Whatever workflow you’ve built then takes over – or you can use the process out of the box. This is perfect for keeping track of who made what decision about changes when and what impact that has had on the project. 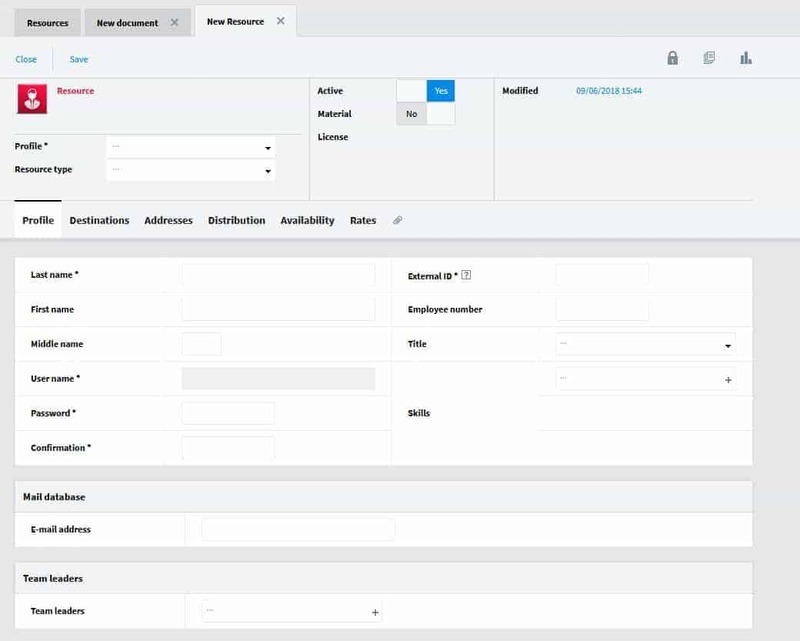 Timesheets and expense tracking are built into the tool. If you have managerial access, you can then approve the timesheets and expenses of other people. You don’t have to use these features if you aren’t quite there with your project management maturity, but if you are billing clients for your time, then this functionality will be very useful. There are a number of customisable reports available within Genius Project. For this review, I tested out some of them, but frankly I found the Projects List the most helpful. You can see all the projects on the go and filter the columns so that you can see all projects with a certain status. You can also see status and progress of projects on a dashboard view. Out of the box reports are available at Portfolio, Project, Resource and Timesheet level. I’m glad I found the online help! It’s not easy to navigate through Genius Project; the learning curve is steep. That’s not a surprise – most enterprise project management solutions have a similar learning curve. You simply can’t take on all the functionality without the software being feature-rich and therefore being a bit overwhelming to use. If this was the tool I was adopting for my business, I would want to make sure I had a couple of PMO people trained up on all the features and the functionality, so that we could get the best out of it. I can see that the data, collaboration features and workflow management are hugely useful, but I bet 50% of ‘normal’ users wouldn’t know where to start without a bit of help. 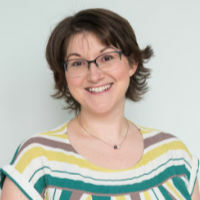 A system administrator (or two) would also be able to set up things like workflows, project approval processes, email notifications and alerts and more. Basically, if you set up Genius to match your business processes, you are going to save a lot of time and effort. But you have to put the work in to get there. 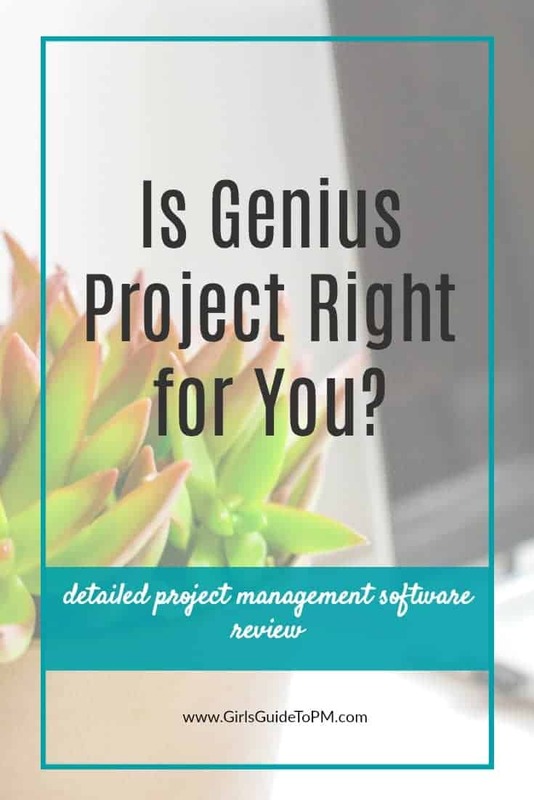 Genius Project is a robust and mature project management tool suitable for experienced project teams and PMOs with the resource to act as system administrators. It’s very configurable and has all the features I’d need as a project manager. After a couple of hours I was using it without too much trouble, but do expect to support the project teams as they start to get used to the system. Get a free 15-day trial and test it out for yourself.